When you start thinking about doing your first national campaign, you may feel like you are putting your head into the lion's mouth—but fear not! A national campaign may not be as daunting as it sounds. If you are starting out on your first national campaign, you will more than likely be looking for some advice on how best to go about it. Reach out for help, especially to exhibitors who were recent first-time national campaigners themselves. They will be able to share some of their experiences with you. There will be people ready to tell you what you should or shouldn't do. Some advice will be good, and some advice will be less so. One thing is for sure—you will need to beware of the "Campaign Myths". A national campaign is very different from a regional campaign. Campaign Myth #1: You have to be a "somebody" to campaign a cat to a national win. You don't have to be a big name exhibitor or have lots of experience to add the NW title to your cat's name. Every show season there are a few "first-timers" who campaign their cats to a national win. Sometimes they are even new to the cat fancy and the show scene. The most common category for a "newbie" to campaign successfully at the national level is in Premiership. Campaign Myth #2: Your cat has to be perfect to earn a national win. There are no perfect cats. If you look at photos of past national winners you will probably have noticed some cats that make your mouth water—and some that are just "okay". Being a national winner means the points the cat earned placed it in the top 25 point totals of the year. It does not mean that the cat was perfect. Every year, smart campaigning will put a cat above a better cat with a less polished campaign. It is just part of the way the game works. Campaign Myth #3: It costs a fortune to campaign for a national win. There are many factors that will determine the cost of a national campaign. Perhaps the most significant factor is where you live. If you live close to high count shows (for instance, the northeastern coast of the US), you will be able to drive to many of the highest count shows. On the other hand, if you live in Utah, you will need to purchase plane tickets and fly to most of the high count shows—and obviously the cost of the campaign increases dramatically. Successful national campaigns have cost as little as $2000 (by an experienced campaigner who could drive to all the shows). 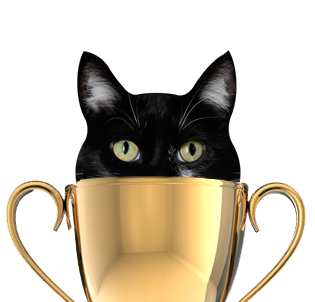 The most expensive campaigns have exceeded $40,000 (for a national win for a cat in championship that included flying to Europe). Campaign Myth #4: Campaigning a kitten is easier. Newbies sometimes think campaigning a kitten is easier than campaigning an adult because a kitten is only campaigned for 4 months. A kitten campaign is shorter—but that brief window of opportunity means that there is less time to learn the ropes—and that there is no time to recover if you stumble. Kittens also need to be born at the right time of year for a national campaign because kitten counts tend to be "seasonal". The highest kitten counts are in the fall because more kittens are born in the spring and therefore are turning 4 months old in late summer and aging out by the New Year. If your kitten happens to be born at the wrong time of the year (in the fall or winter), you'll not be able to find high enough kitten counts for a national win no matter how deserving your kitten may be. Campaign Myth #5: You have to go to show with the biggest entry each weekend. When trying for a national win, the first thing you need to know is your Goal Number—the minimum number of points/ring that would count towards a national win. The article Campaigning: It's A Numbers Game will explain how to calculate your Goal Number. As long as a show's entry has a high enough count for your cat's projected final placements to earn its Goal Number, that is a show you should consider entering. The show doesn't have to be the biggest show of the weekend. Because the experienced campaigners (and the cats hoping for a high NW) will usually need to go to the largest count shows, there will usually be fewer national runners at the second largest show of the weekend—and that may be a great opportunity for your cat (as long as the show count is high enough for you to reach your Goal Number). Campaign Myth #6: The cat has to make all the finals. When newbies first start campaigning they often think that their cat has to make every final for the show to be worthwhile. Because each ring is counted individually, it really is only the value of each ring that is important. Of course, the more finals you make at a show, the more rings you add to your cat's point total (until you start replacing rings). Campaign Myth #7: You have to show every weekend. There have been national winners in Championship and Premiership who actually didn't show in 100 rings, but most successful national winners will show in more than 100 rings. If a cat is shown at mostly 8 ring shows, it would be shown at a minimum of 13 shows to reach 100 rings—just over one show a month. Most national campaign cats are probably shown between 20-25 shows over the year. While that is an average of twice a month, a typical campaign waxes and wanes. A cat may have a few months where it is showing every weekend when the counts are high and the cat is "hot". Then there will be other times when the cat is not showing hard because the counts are not high enough or there isn't a good judging slate. During a campaign there may even be a time when the cat temporarily retires from the ring for several months, such as if a Persian that needs to come back into condition after blowing coat. A common newbie mistake is to assume they can wait for a more convenient show next month instead of a less convenient show next weekend. Things can happen, so strike while the iron is hot. Don't postpone the campaign unless it is really necessary. Campaign Myth #8: You have to know the judges and the judges have to know you. Knowing the judges personally, and the judges knowing who you are definitely doesn't hurt—but it is not a necessity. If you have a great cat, and run a smart campaign, it won't matter that the judges don't know who you are. Campaign Myth #9: You must schmooze the judges. Some campaigners feel adamantly that attending hospitality functions and socializing with judges and other campaigners is a necessary part of a smart campaign strategy. It may contribute to the success of some campaigns, but it certainly isn't an absolute must. Campaign Myth #10: A "campaign show" is a campaign show in every category. While we often hear that so-and-so is a campaign show, it may be a campaign show in one category—but not another. It is more correct to say it is a campaign show for kittens . . . or a campaign show in championship, etc. It depends upon the show counts for each category. See the article titled The Campaign Show for more details. The article CFA Championship Counts Analyzed 2014 provides links to tables showing last season's counts for every show in CFA, divided by kittens, championship and premiership. The information in the tables will help you can predict the counts for each show this campaign season. Always remember, if you have done your homework, follow your instincts. No one giving you campaign advice knows what you know about your cat, about its show results, which are its best judges and how it has fared against other specific cats. Don't be misled by the Campaign Myths! Go for that first National Win!